Hi babes! No matter what your age, it's time to push your skin care regimen to the next level and start the New Year with ageless skin. Watsons Malaysia throws an exclusive skincare launch event with Olay introducing the debut of Olay's premium Magnemask collection and 'light-as-air' Whips Moisturizer. 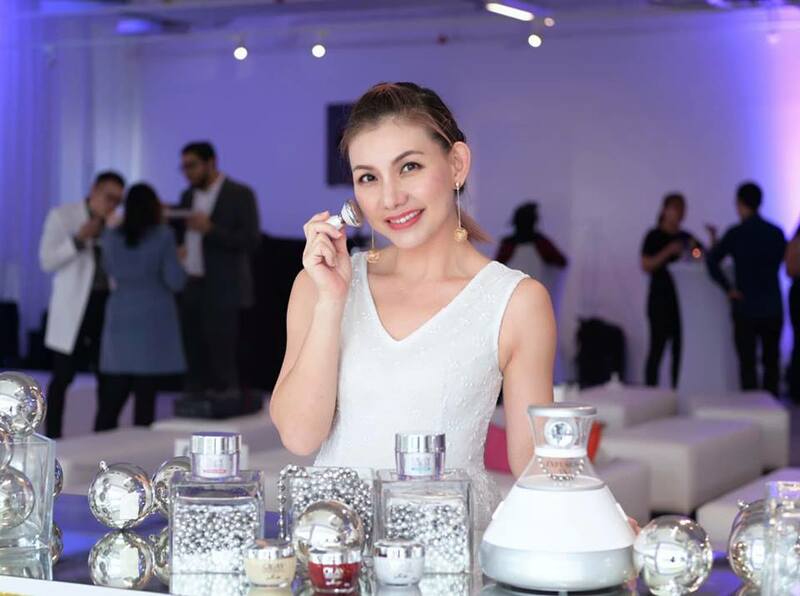 Themed 'Science and Beauty', the event was held at Menara Ken set up elegantly, there's an experiential session, customised experience with make-over station plus an enriched visual photo wall. 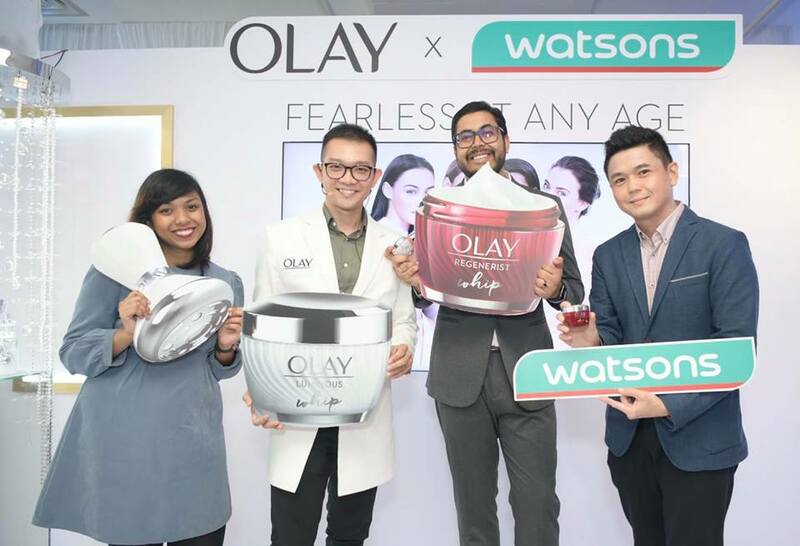 Also present at the event were Rishab Mukherjee, Olay Commercial Director, Nabila Binti Zahu, Olay Consumer Marketing and David Khoo, Olay Principal Scientist, alongside Danny Hoh, Customer Director of Watsons Malaysia and Thoren Tan, Trading Director of Watsons Malaysia. Olay Scientist Keynote Presentation by David Khoo, Olay Principal Scientist. 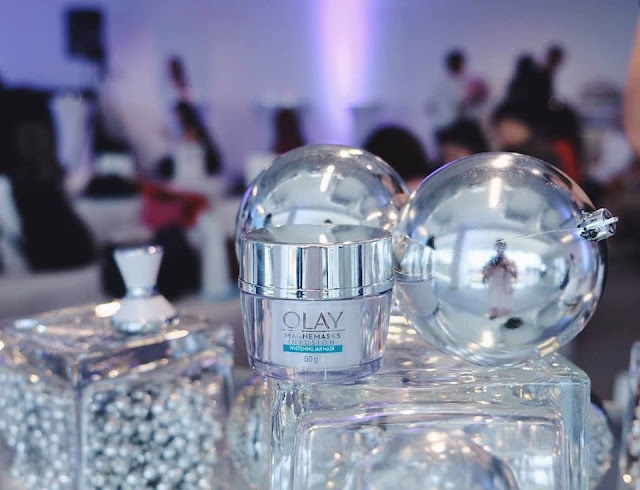 Olay unveiled its first-ever premium face mask collection - the Olay Magnemasks and the revolutionary Magnetic Infuser. Did you know the natural structure of the skin consists of many layers actually limits penetrability? No matter how we massage to enhance skin care absorption, the turns out may not be as effective, rendering a good portion of the face cream as expensive hand creams instead. That being said, Olay Magnemasks - a collection of overnight jar masks that harnesses the magic of magnets to restore skin's youthful glow whilst offering spa-like rejuvenation in the comfort of your home. Formulated for two skin concerns, anti-aging and hydration, the anti-aging range improves skin texture and elasticity whilst the latter delivers moisture-boosting benefits for dehydrated skin. More nourishing than a regular night cream, Olay Magnemask overnight jar mask is absolutely lightweight with a soft melt-in-texture to enhance penetration leaving skin feels soft and supple. The actives-packed formula works in tandem with the Magnetic Infuser to reduce the appearance of fine lines and wrinkles overnight, leaving skin plump, firm and with improved elasticity. Designed to be part of the everyday skin care regime, the overnight jar mask provides up to 12 hours of hydration with each use. 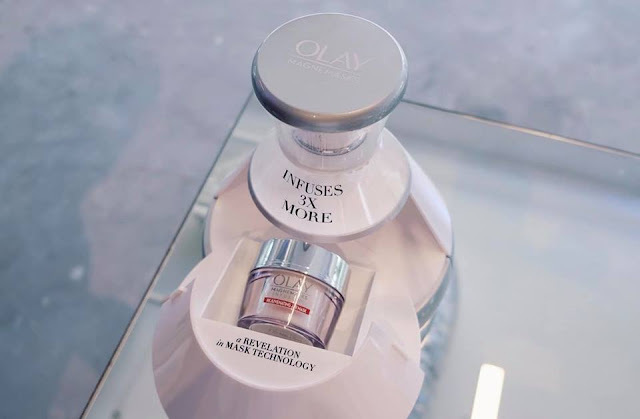 For a customized Olay Magnemasks skin remedy, you could also multi-mask by applying a combination of anti-aging formula around areas prone to wrinkles and the hydration formula on dry patches. Not to forget, the specially designed Magnetic Infuser helps to enhance the penetration of Olay Magmemasks and exclusively tuned to the molecular properties of Niacinamide (Vitamin B3) and Penta-Peptides (PAL-KTTKS), the hero ingredients in the formula. Simply glide the Magnetic Infuser gently across skin surface for two minutes to repels the key ingredients by the natural magnetic force which infuses up to three times more, 10 layers within the skin's surface as compared to the typical finger application. Supercharge your skincare routine with Olay Magnemasks Overnight jar mask for the ultimate skin rejuvenation. Don't forget to include the Magnetic Infuser as this powerful combination brings about a revelation in mask technology ensuring that you get maximum benefits from the new Olay Magnemasks for a firmer and more youthful appearance. Olay Magnemasks is priced at RM139.00 (Jar mask + Infuser kit) and RM109.90 (Jar Mask) available at all Watsons stores nationwide. 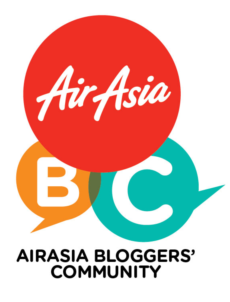 From now until 20 February 2019, Watsons members can enjoy 10% discounts. Olay Whips are formulated differently to work and feel differently. 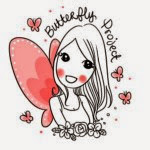 There are many creams that promise lightweight skincare but still can leave skin feeling greasy and tacky or they just don't offer any skin benefits beyond hydration. Light as air finish yet deliver powerful results, Olay Whips uniquely formulated with Active Rush Technology to hold and quickly release 1000X its weight in hydration and active ingredients. The whips transform from cream to liquid on contact, absorb instantly into the skin. Regenerist - Formulated with advanced Amino-Peptide Complex II to regenerate surface cells, minimize the look of fine lines and wrinkles, improve elasticity and firm skin for a lifted look. Total Effects - Formulated with VitaNiacin Complex II and Vitamins C&E to fight the early signs of aging. Packed with 7 skin benefits in ONE such as replenishes moisture, even skin tone, promote brightness, visibly smooths fine lines and wrinkles, minimizes the look of pores, restores firmness and visibly reduces dark spots. White Radiance - Formulated with PearlOptics science to deeply moisturise, even skin tone and minimize the appearance of pores for lasting radiance. 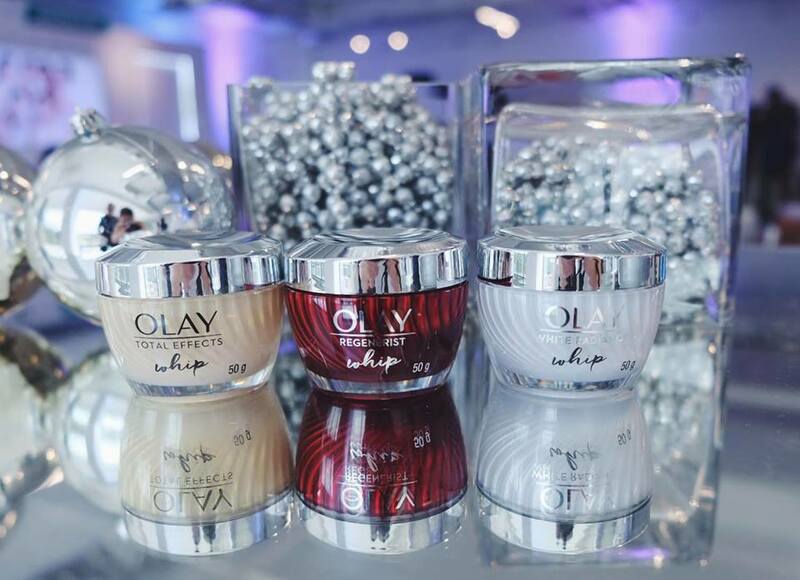 Super lightweight yet deeply hydrates with a smooth, matte finish, Olay Whips deliver powerful skin care benefit giving women #allthefeels they've been missing from their lightweight skin creams. Olay Whips is priced at RM109.00 available at all Watsons stores nationwide. 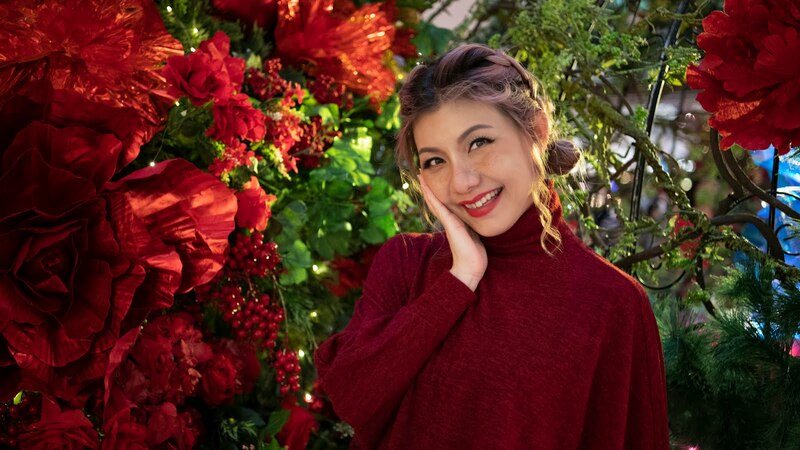 From now until 20 February 2019, Watsons members can enjoy 10% discounts. 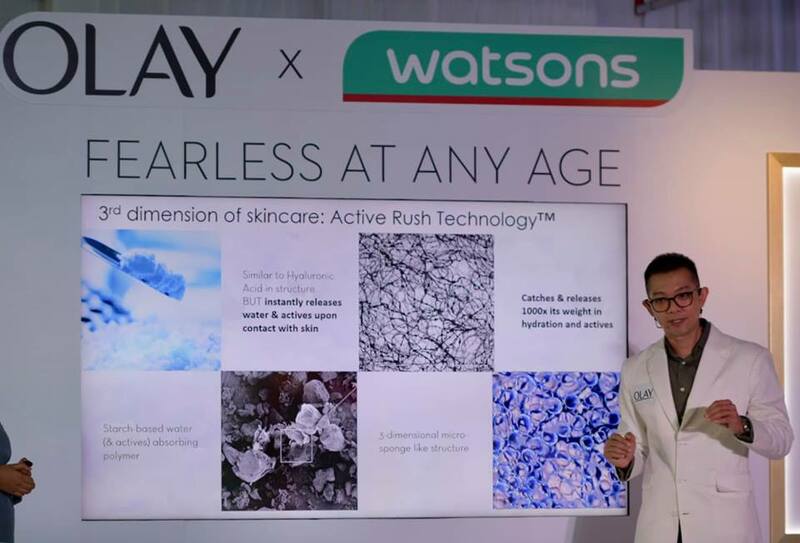 For more information, please visit www.watsons.com.my or visit any Watsons store nationwide.